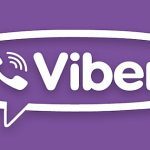 Viber is definitely on a very impressive track with its new features. At the end of June the application added new extensions that would help you, dear user, to do multiple activities without having to switch between apps. Share and play songs, videos, tutorials, and other contents through Viber’s new extensions for Youtube and Spotify. The extensions allows you to search for videos on youtube, for example, select your choice from the search result, and share it on Viber during your chat or call. You can also play the video within Viber itself with your conversation going on. Planning a trip? No problem! The Booking extension allows you to browse and filter your options of hotels and rental cars at your destination. With the ability to search and share the results with your contact in the conversation, Viber takes planning your vacations to a new, fun level. How to use these new extensions is super easy, too. Just select the extensions icon at the bottom right corner of the app screen, choose the extension you want, and start searching and sharing.